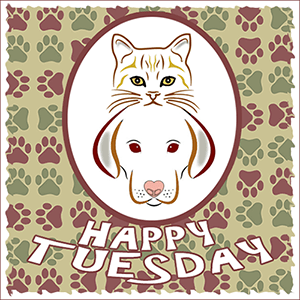 This entry was posted in Blog Hops and tagged Comedy Plus Happy Tuesday Blog Hop, Prancie, Prancie's Prayer, TCK Publishing by pilch92. Bookmark the permalink. I could miss it, and wish you the most of votes! Happily voted for your book. We hope that you do really well as it is a great story and deserves our support. I went over and voted! I voted and assume it was counted.It didn’t actually say I had voted but showed how many votes you have (5) after I logged in through Facebook. YAY! We voted for Prancie’s Prayer! Sure are a lot of books in the competition but we’re SURE you will win. If all one needs to do is click on the choice, then your book has my vote. We will definitely vote for you! We are headed over to vote too! We voted for you! What a great honor to be nominated and we hope you win. Voted! I’m going to post about it on my FB page too, so others can add their vote! I’m sorry I didn’t vote. I won’t do anything that asks me to sign into another account. It’s a good way to get spammed or hacked. I do wish you all the luck. Such an adorable book, Ellen. I voted. Done! Best wishes, my dear. And Penny, I’m going to remember this the next time you complain about being preempted. ~grin~ Take care! We voted for you! Of course. It’s a great book. On our way to give you the Woos’ vote!!! Voted ! Good luck ! Done. Voted. We love Prancie’s story. We’ll head over there now! I’m off to vote now! Will have to use my other tablet, as this one is not connecting right. Will get to it now. How exciting! We’ll go over right now to vote for you! We hope you do well and would love to see you be a winner! We voted! (Both me and Mom). Prancie, I sure hope you eon! I voted! Good Luck! Prancie’s Prayer is such a sweet book. You and your story deserve more votes than we could ever count, Prancie. We’re voting for you, that’s for sure! Voting and sending prayers and purrs for Joanie. I was finally able to vote for Prancie.